Call Derek Brunson the Night King, because he is out here slaying dragons. 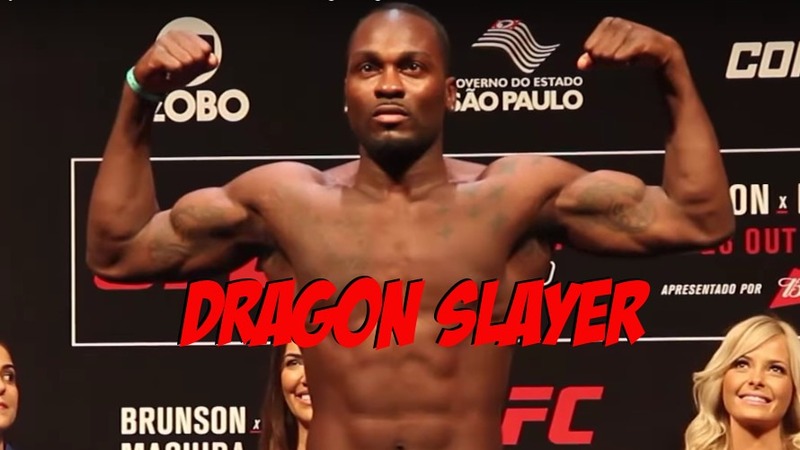 Check out Derek Brunson’s first round finish from UFC Fight Night 119 in Sao Paulo, Brazil. In the immortal words of Rick James, that was cold blooded. In a night where before the co-main event, only one Brazilian had lost, the hometown fighter’s luck ran out in the biggest fights of the night. But then again, maybe a bunch of 39 year old legends shouldn’t be fighting killers in their prime. Just an idea there. Hats off to Derek Brunson for righting the ship after back to back loses to Robert Whitaker and Anderson Silva. Traveling abroad to get a win in New Zealand, and now taking a main event win in hostile Brazilian territory, puts his name back into the mix at 185 pounds. Next articleRumor: Deleted Instagram Post Sparks Rumors of Conor McGregor vs. Nate Diaz III?? ?